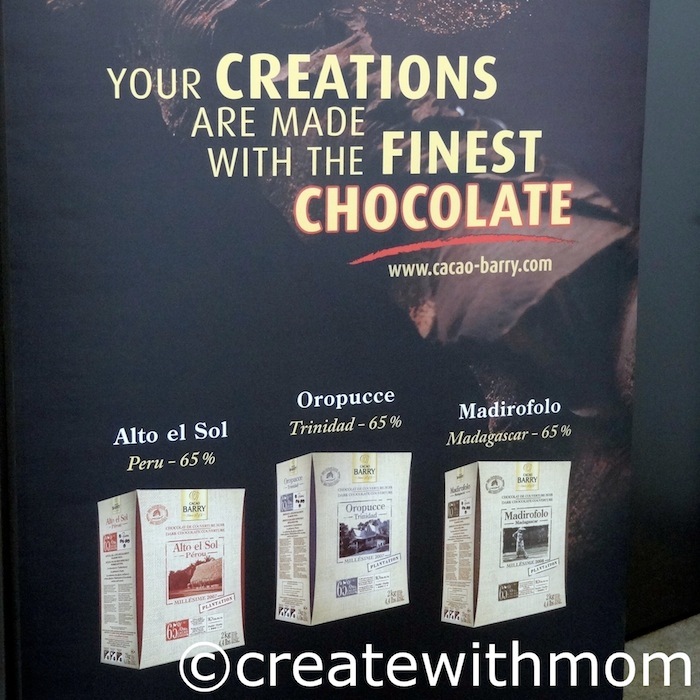 I recently attended a media event at Bonnie Gordon College and learned a lot about chocolates. After the event, I think I understand the difference of the wide range of chocolates that are available. The College uses the exquisite Cacao Barry chocolate couvertures, which has a minimum of 31% cocoa butter that makes it to be higher quality product. Learning about Cacao Barry definitely makes us talk about chocolates in a whole new way. The location of the cocoa plantation, how the beans are chosen and the climatic conditions results in the different variation of chocolates and taste. Alto el sol from Peru is an aromatic, fruity and acidic chocolate. Oropucce from Trinidad has a strong cocoa flavour, slight fruity, flowery and winy taste. Madirofolo from Madagascar has a balanced, fruity, acidic and slight bitter finish. The chocolate from Tanzania is my favourite as it is subtle, spicy, fruity and acidulous taste. This chocolate has 75% cocoa in it. Chocolates from Ghana have 40.5% cocoa with a sweet milk flavour. Cacao Barry has existed since 1842, and they cultivate cocoa beans in limited quantities from different countries without mixing them. Cacao Barry offers Kosher certified, rare and refined flavours of cocoa through their chocolates. Their chocolates would be fabulous in all chocolate desserts i.e. pralines, moulding, coating, pastry, biscuits, mousse, decorating, sauce, ice cream and more. The higher quantity of cocoa butter in the chocolates makes it fabulous to melt, mould and dip to create a beautiful thin shell that looks neat. The non-couverture chocolates like chocolate chips keep their shape when baked and not very good to melt or work with. We can find Cacao Barry products sold at Vanilla Food, Golda's Kitchen, Baker Haven and in many other locations. We were shown three different methods of tempering chocolates by the instructors at Bonnie Gordon College. Tempering the chocolate is important so it will set well when we work with it. Check the mini video I took when the instructor at Bonnie Gordon College demonstrated this cool method of tempering chocolates. and in 10 seconds segments. We have to mix it after removing from the microwave each time. Here is the link to the Chocolate Bonbons (alcohol free) recipe I learned at Bonnie Gordon College. If you want to learn about a variety of ways to temper chocolates and to make hand dipped truffles and bonbons, Bonnie Gordon College will be offering day classes on March 23rd and 24th. The Confectionary Diploma Programme is a 16 week program that is offered throughout the year in a full time basis so students can learn the entire cake design process from scratch. The Designer Cakes Certificate Programme is a full time hands on class that explores all the skills and techniques needed to create custom designed cakes. Bakery Essentials Certificate Programme is offered full and part time to teach baking and pastry art i.e. cakes, cupcakes, cookies, breads, quick breads, filling and ganaches. They also have a variety of other classes for hobbyists and home bakers. 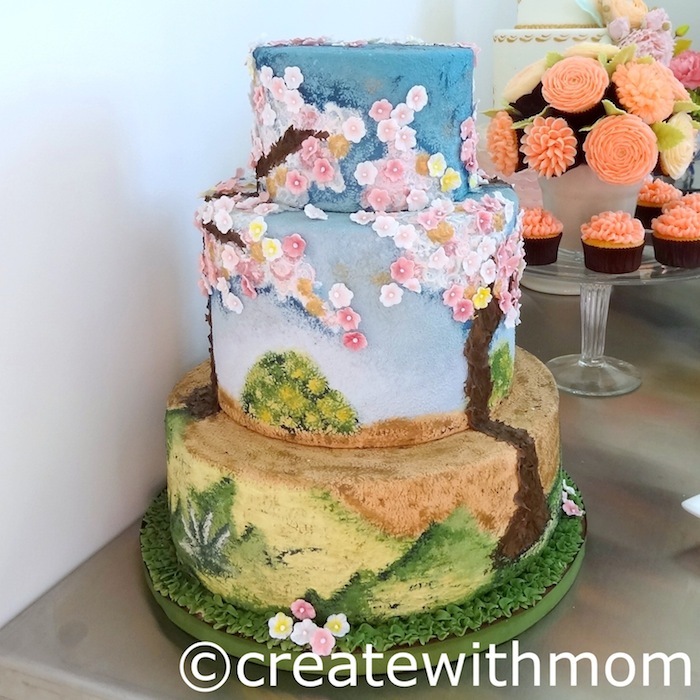 Beautiful cakes and well captured. I've heard great things about Bonnie Gordon.